First of all, the Haunted House opens tonight. You don't want to miss the best haunt in Hobbs!!! This year, the inmates have taken over the InsaYne Asylum! 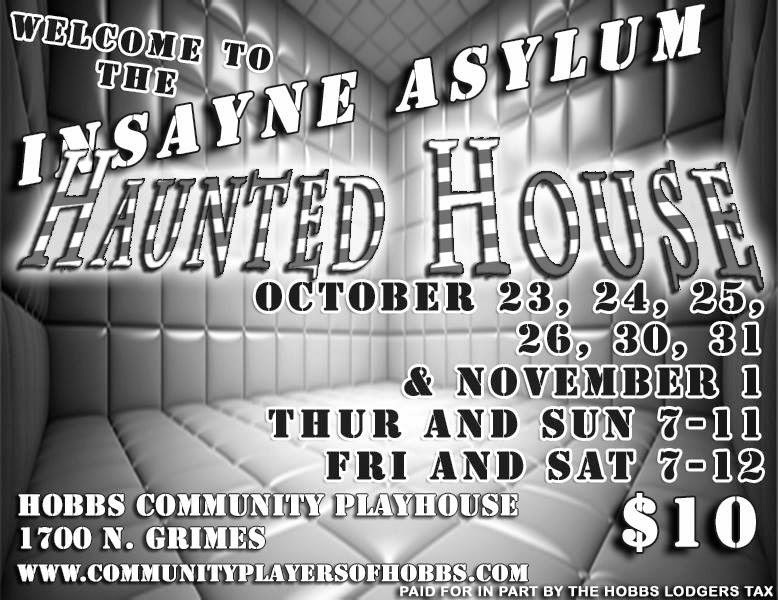 Come out and be terrified by Hobbs' scariest haunt, in its 5th year as the top haunt in Hobbs! Dates are October 23-26th and October 30-November 1. The haunt starts at 7 pm each night, and runs until 11 pm (Thursday and Sunday) and until midnight on Friday and Saturday. Second, congrats to the cast and crew of A Fairytale Christmas Carol!! I would like to say thank you to everyone who auditioned. Everyone did such an amazing job. Our first rehearsal is Monday, October 27th at 6:30 pm at Western Heritage Museum. We will be doing a read through and begin costume sizing. Are you ready for the 5th annual Haunted House? 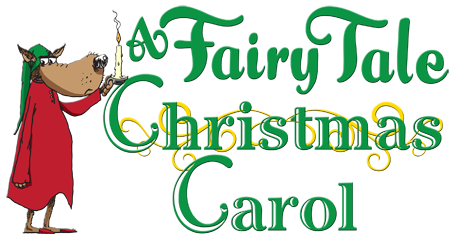 Audition Notice "A Fairy Tale Christmas Carol"
Christmas is coming to the Playhouse in the form of "A Fairy Tale Christmas Carol," directed by Carey Lindner. Auditions for this quirky holiday tale are set for Sunday and Monday, October 19 and 20, at 6:30P.M. at the Western Heritage Museum. This is a flexible cast of 20-30 males and females, ages 12-adult. 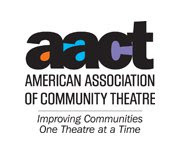 Show dates are December 11, 12, 13 and 14.